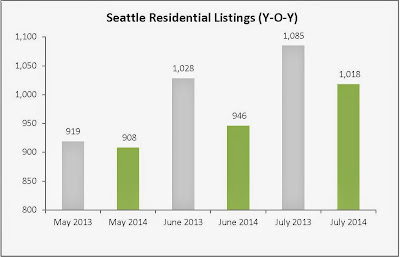 As summer draws to an end, it’s a good time to review the trends in our Seattle real estate market for single family homes. For a review of condominiums visit our condo blog report here. Depending whether you are thinking of buying, selling, or investing, it’s good to review and plan ahead. In this summer’s report below we used the recently published data from the MLS and broke the data into number of sales, median price of those sales, and the number of new listings coming to the market. Then we also compared on a month-over-month basis to see the last 6 months of this year, and then did a year-over-year comparison to see where are now compared to the same time back in 2013. 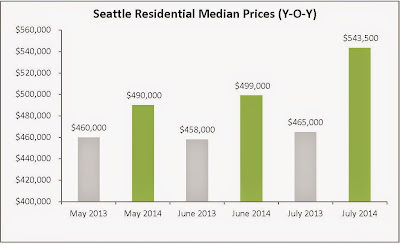 Again, this is Seattle city specific but median sale prices in July were $543,500, which is 14% higher than the same period last year when the median was $465,000. 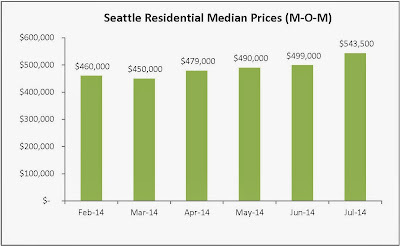 Also this summer, you can see the prices trending up month over month with the low point being March at $450,000 this year, but then steadily increasing ever since. The number of sales is also important to track because it helps show demand and movement in the market when compared to the number of new listings coming on the market. 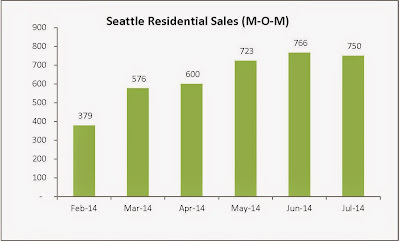 In July we saw 750 home sales in Seattle, and during the same period 1,018 new listings came on the market. 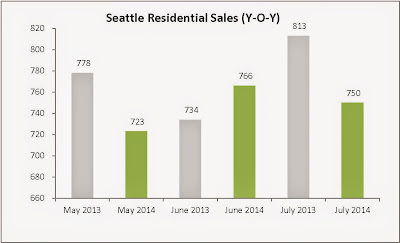 This means that roughly 3 out of every 4 homes in July sold. 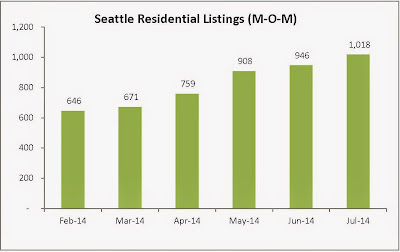 The other interesting thing is compared to the same period last year in 2013, even though we are seeing the number of listings increasing this summer, we are still below the number of new listings this same time last year with 1% less in May, 8% less in June, and 6% less in July. Based on this, I can only assume that we are seeing more listings coming on the market as prices continue to increase because sellers who at one point, either couldn’t sell or were waiting to feel out the market are now deciding to sell. But the market is absorbing most of those new listings. 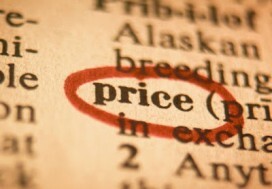 My forecast for the rest of 2014, and into early 2015, is more of the same with sellers still having the upper hand on pricing and negotiations, but buyers still can leverage good options if they are patient and creative because some inventory doesn’t sell right away, and some sellers are too confident or their homes are not detailed and ready to nab the highest dollar so options such as buying with rehab loans where you can buy a less than ideal house, but make it your own with the lender funding the remodel is a great option in this market. For information on your home’s value, or to find out if buying now with a rehab loan might help you get into the market sooner as a buyer, drop us a note. Happy to help.